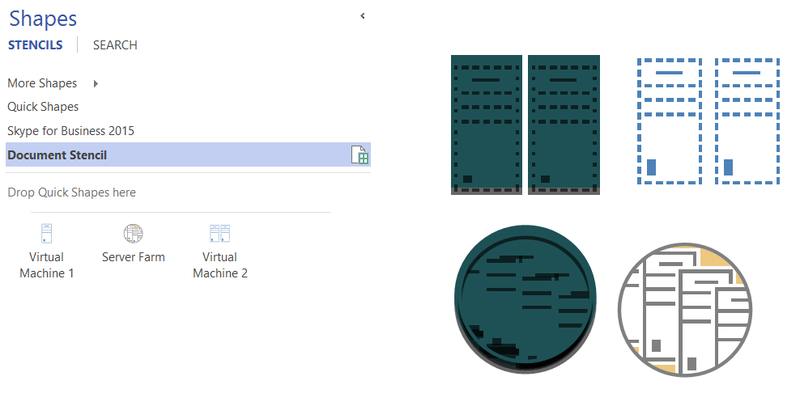 There is a vast community of Visio users out there, and some clever people produce stencils for others to use. 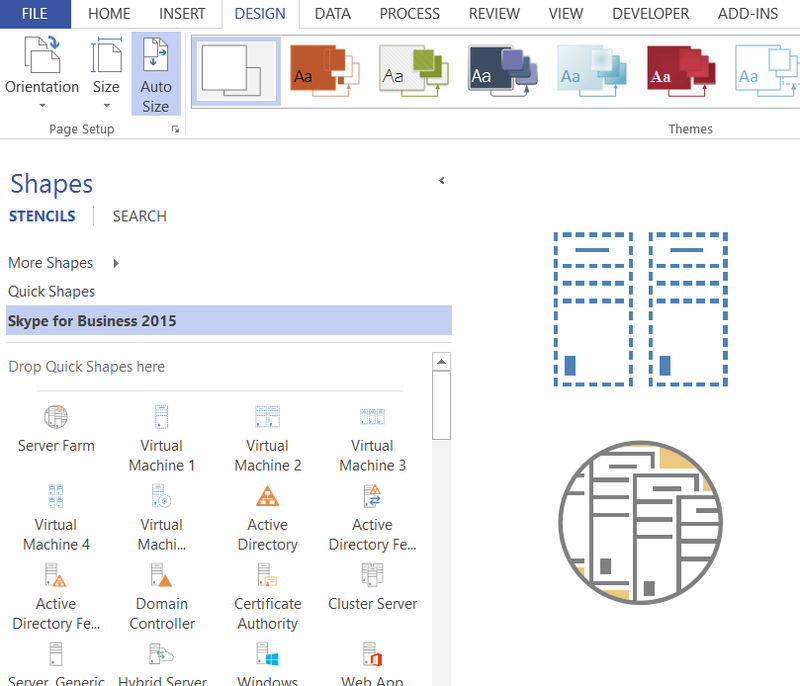 These are a tremendous resource for other Visio users, especially if they are free. 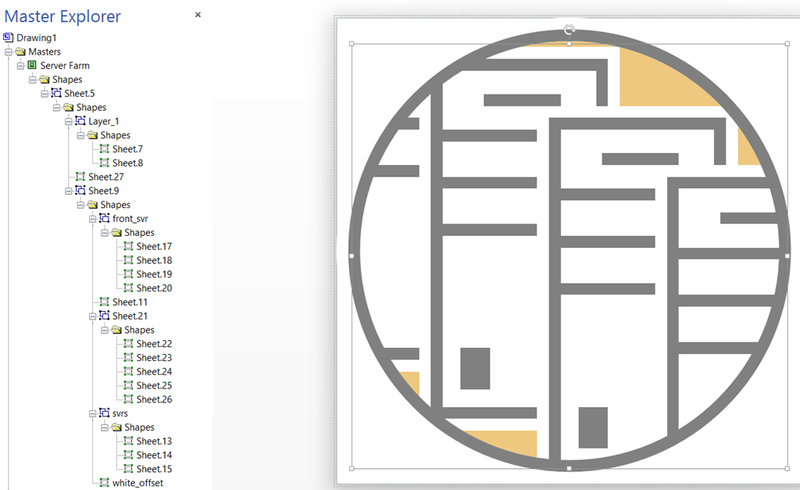 One such stencil is the Skype for Business 2015 stencil that is available from TechNet ( https://gallery.technet.microsoft.com/office/Skype-for-Business-2015-4a8f03dc ). It is amazing that PaulB_NZ has produced such a comprehensive stencil. 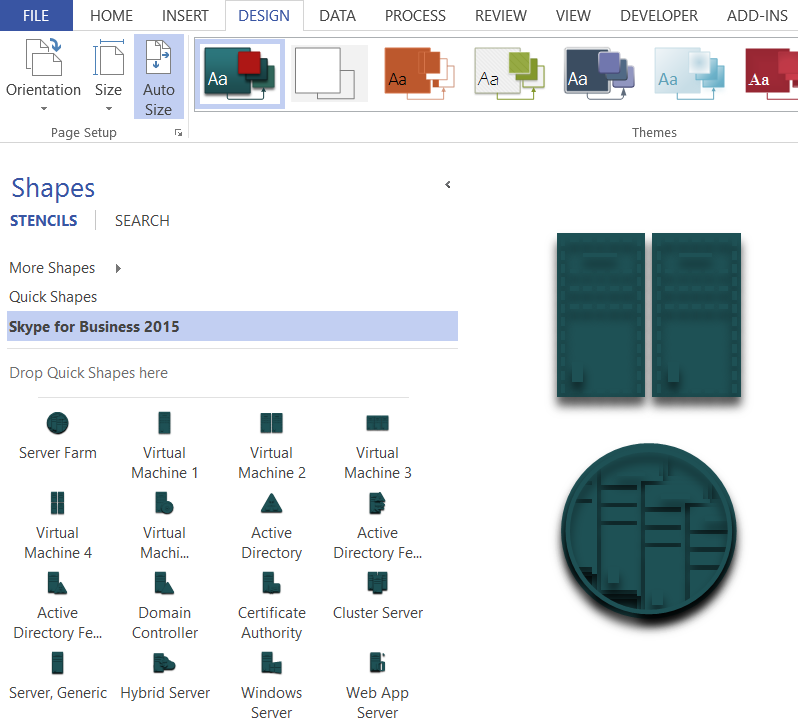 I could not help noticing a comment about using them with themes in Visio 2013+. Basically, they end up as a blob of solid colour, so I thought I would help out with a tip about protecting shapes from themes, and another about sub-shape selection. 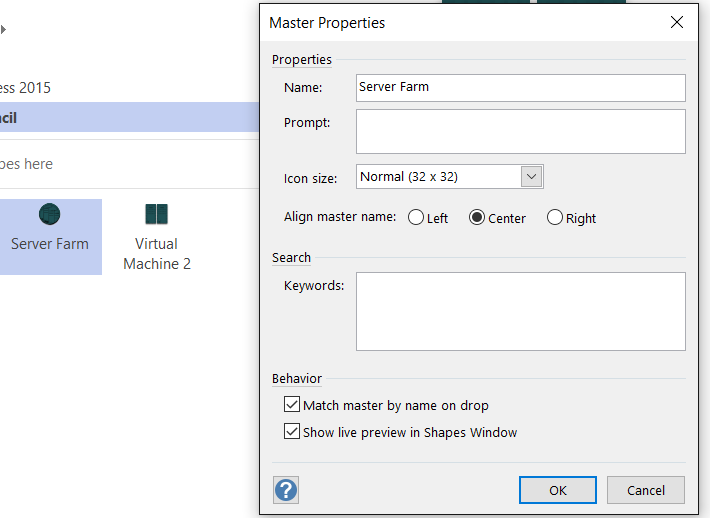 Prepare the Master for editing by ticking the Match master by name on drop option. 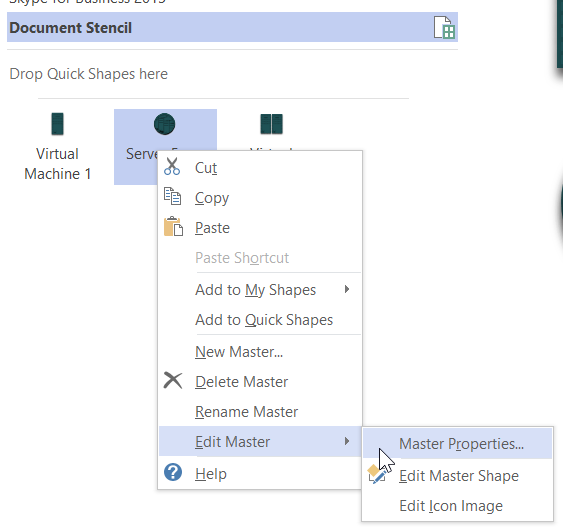 This will attempt to prevent Visio from automatically creating a second master after edits have been done, and a Master with the same name is dragged from another stencil into the document. In this example shape, there are a lot of sub-shapes. I will leave a discussion about efficient shape design for now, but I suspect that there could be only three sub-shapes because there are only three colours being used. 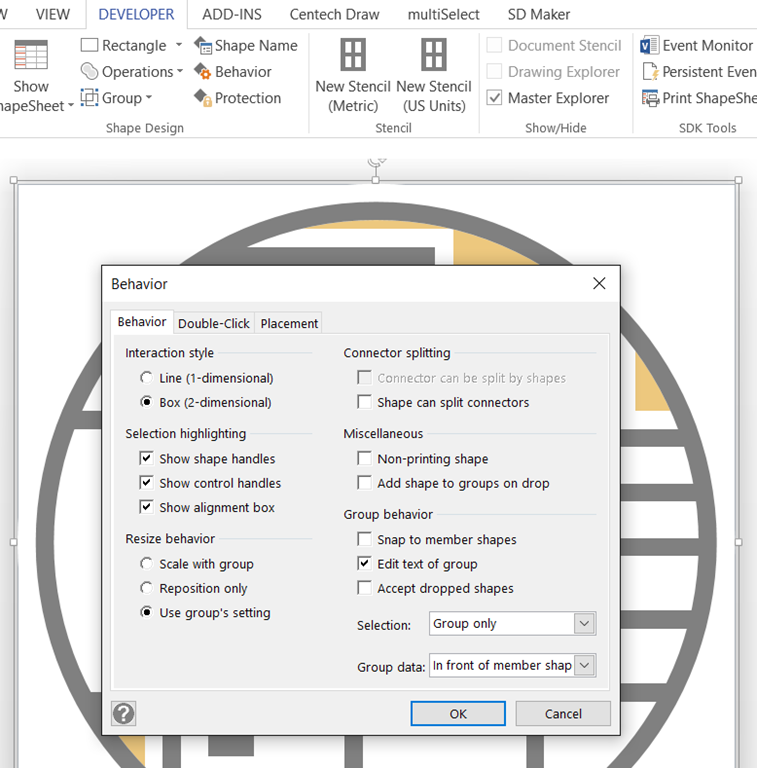 However, the on cost of multiple sub-shapes is to slow down Visio because it needs to evaluate the graphic display, and each grouping level needs to be evaluated from the innermost level. This shape has up to three levels of nested groups. I suspect that only one is necessary. 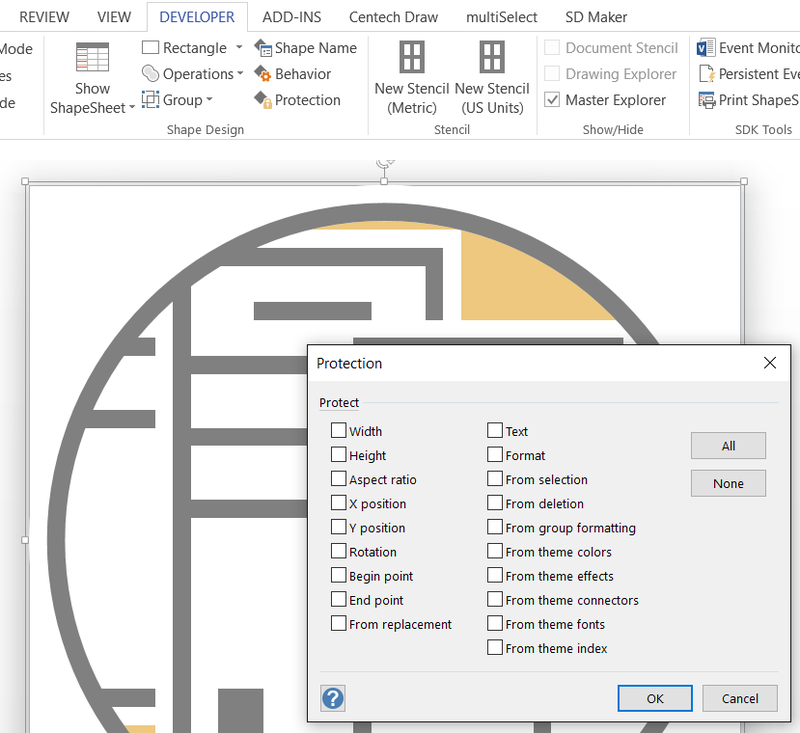 Fortunately, we can minimise some of these issues by preventing Visio from trying to snap to member shapes, and by hiding the sub shapes from selection. Now that the Master shapes have been edited, all of the existing shape instances, and any new ones, will be protected from sub-shape selection. 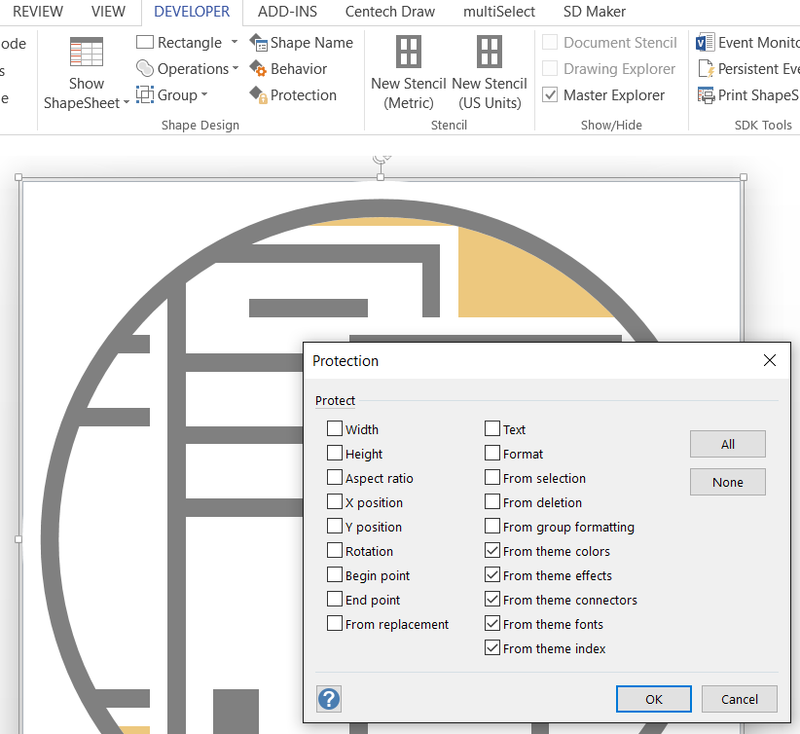 Unfortunately, any existing shapes that have had a theme applied will already have been edited, but any more shape instances added to the document will be protected from themes. Keep up the good work, PaulB_NZ !